Have you been experiencing discomfort but you’re not sure where it’s coming from? If so, you might be experiencing a pinched nerve. Pinched nerves present themselves in many different ways. Some symptoms are the same as those for other causes. The symptoms associated with pinched nerves vary in strength, too. So it can be difficult to identify the problem correctly. So how do you know if you have one or not? To help you assess what you’re feeling, we’ve created this list. Here are five signs of a pinched nerve that you should know about. Numbness is one of the first symptoms you’re likely to experience. You’ll notice it when the feeling in your fingertips or another area of your body doesn’t seem to be as strong as usual. Since numbness doesn’t always feel like a big deal, it’s easy to think you can ignore it. That’s not a good idea though. Allowing numbness to continue only allows the problem to continue. A simple, momentary feeling of numbness might not be associated with a pinched nerve. But if you feel any numbing that’s significant, or numbness that seems to not go away, consult a doctor. This feeling may be closely associated with numbness at times, but it is a different thing. In this case, you’re feeling little pricks of pain all over a certain area of your body. While they aren’t the same, numbness and pins and needles often go hand in hand. If they continue to show up in the same area on your body, you likely have a pinched nerve. The feeling of pins and needles comes from a pinched sensory nerve. These nerves help you feel things like light touch. Numbness and pins and needles are on the lower end of the spectrum of what you might feel from a pinched nerve. On the other end, there’s pain. Pain from a pinched nerve may be sharp or have a burning feeling. You might also feel like the pain is moving outward from somewhere deeper. If you’re experiencing this, there’s a good chance the nerve is being pinched because something near it is inflamed. Pain from nerve pinches can be sudden and very painful. If you notice this type of pain, consult a doctor to get the issue addressed. Feeling weak in general may just be from not getting enough sleep or eating unhealthy food. If weakness is sticking around in one area of your body, though, you may have a pinched nerve. This is because one type of nerve that’s housed in your body, the motor nerves, help your brain tell your muscles what to do. Weakness means there’s something wrong with the connection and your muscles aren’t getting the right message. Have you ever had an arm or leg “fall asleep?” If you’re like most people, you probably have. While this is totally normal if you’ve been sitting on your leg for a while, it shouldn’t happen out of the blue. If you get the feeling that an area of your body keeps falling asleep when you weren’t doing anything that warrants that feeling, you might have a pinched nerve. A pinched nerve isn’t always a serious thing. At first, it may not be. But if left alone you may find yourself dealing with something worse down the line. What might a pinched nerve come from? Pregnancy, diabetes, and repetitive physical stress are all on the list. A pinched nerve might also be a sign of something bigger, like a stroke or heart attack. 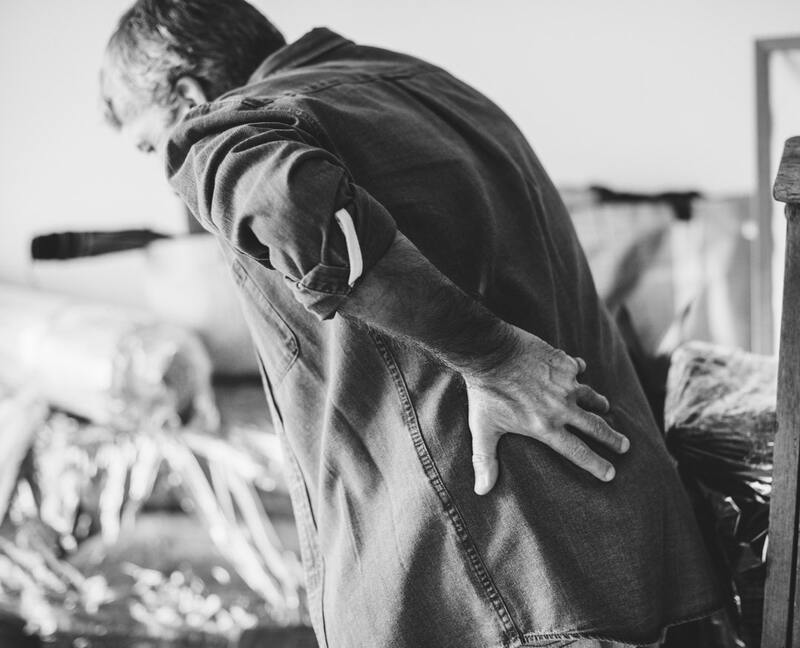 Since a pinched nerve may be a sign of something bigger or may turn into a bigger problem, it’s a good idea to get it checked if it persists. The symptoms for pinched nerves range from annoying to painful. Luckily, though, there are remedies to help with each one. Ultimately, you may need to visit a doctor to sort out the source of the issue. Real treatment may take time and the help of a medical specialist. There are some things you can do at home, though. The area of your body that’s bothering you could benefit from some rest. This remedy is a good place to start. You may find that the issue goes away, but if it doesn’t you know you need some extra help. Depending on the severity of the pinched nerve you’re experiencing, you may need to do some physical therapy. This will help you work through your symptoms while addressing the issue at hand. Surgery likely won’t be required if the pinched nerve is a minor thing. In some cases, though, surgery may be required. It can help take the pressure off your nerve. Nonsteroidal anti-inflammatory drugs might be recommended by your doctor. Corticosteroids are an option too. These types of medications can help with the pain associated with pinched nerves. A pinched nerve might be something simple, but it also might be a sign of something bigger. Because of this, you should never ignore these signs of a pinched nerve. The sooner you can figure out what’s going on, the better. So don’t hesitate to reach out to your physician to diagnose the problem. Experiencing a pinched nerve in your back? Click here to learn about how our spinal injections can help.